9 Times This TV Celeb Couple Was Too *Cute* To Handle! 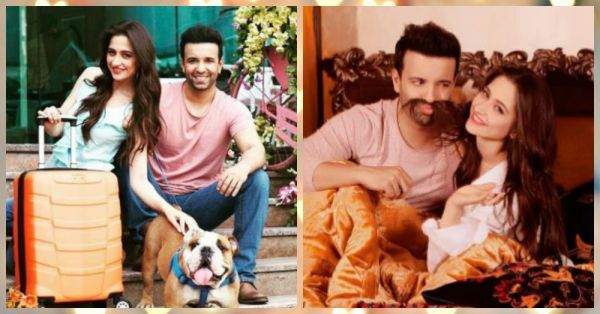 Aamir Ali and Sanjeeda Sheikh are definitely the most romantic couple from the TV industry and we love them A LOT. Their love story is so amazing that they never fail to give us couple goals. We found some really awesome pictures of the couple on Instagram and it made us feel that this is how ‘happily ever after’s should look like. Take a look at their recent photos and we bet you’ll love them too! 1. Aww… that’s so cute! 2. So much love here! 5. That looks like a happy family! 6. Such a happy picture! 7. Before and after… SO cute! 8. That’s another awesome picture! 9. Wohoo! Vacays with bae be like!